Does Proper Auto Maintenance Really Save Petrol? Have you ever thought about all the little things we do to keep our lives running smoothly – like vacuuming the house? It makes a room feel fresher and more comfortable. We may not consider that we’re also prolonging the life of the carpet by keeping it clean. But Hawthorn and Glen Iris drivers don’t always extend those good habits into the garage. Our vehicles need regular maintenance just like our rugs need vacuuming. We may not notice a difference in the feel or appearance of the vehicle, but just as cleaning a carpet carries the hidden reward of prolonging its life, maintaining our vehicles incurs a hidden reward that becomes noticeable at the petrol station. When it comes to reduced fuel economy, there are two culprits: increased friction and inefficient fuel combustion. That means that anything a driver can do to decrease friction and increase the efficiency of their engines will translate to savings on fuel. Friction increases the amount of energy it takes to move something. So if we can reduce friction, we can decrease the amount of fuel it takes to run our vehicles. Engine oil is usually at the heart of friction problems in an engine. Too little oil means parts are not getting lubricated, which increases friction and dirty oil doesn’t lubricate as well as clean oil. So a secret for good fuel economy is to stay on top of oil changes. Don’t skip them and don’t procrastinate. The same auto advice applies to transmission fluid. Keep it full and keep it clean and your vehicle will run better with less friction. If your tyres are underinflated, it increases the friction between the tyre and the road. Again, there is increased drag, and it takes more fuel to move your vehicle. People should check their tyre pressure every month and keep their tyres properly inflated. Wheel alignment and brake problems can also increase friction. Besides saving fuel, keeping these systems in good repair has the added benefit of saving you on tyres and brake pads. These items wear out more quickly when the alignment is out or when the brake system isn’t in good working order. The second culprit that stealthily steals our fuel economy is inefficient fuel combustion, which depends on the engine getting the right amount of clean fuel to the right place with the right pressure at the right time in the right pattern. The key to peak engine performance is to keep the fuel system clean. Varnish and gum can build up in a fuel system, which will interfere with the fuel injectors. The fuel injectors are responsible for all those “right things” we spoke of. If they’re dirty, incorrect volume, timing, pressure and spray patterns can all get out of whack. The result? Reduced fuel economy. 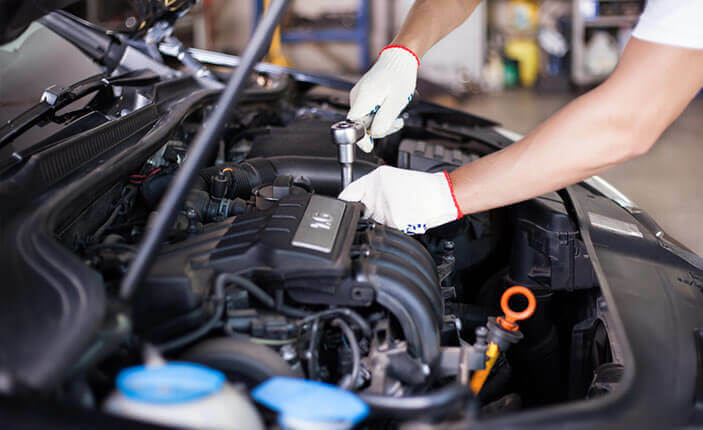 A fuel system cleaning service at The Workshop Hawthorn can get your injectors back on track, improving performance and efficiency.